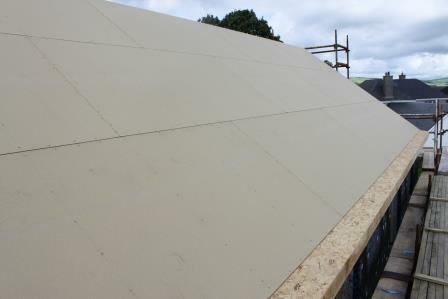 A high performance breathable external sheathing panel suitable for use in all types of timber frame structures. Combining high racking strength in excess of Category 1 requirements with excellent vapour permeability and high weather resistance. Breathable sheathing panel suited to traditional timber frame and diffusion open systems. Very low water vapour diffusion factor to prevent condensation - µ 9.4 to EN 12572. High performance racking strength (category 1 to BS 5268). Zero added formaldehyde contributing to healthy environments. Other dimensions are available by special request.